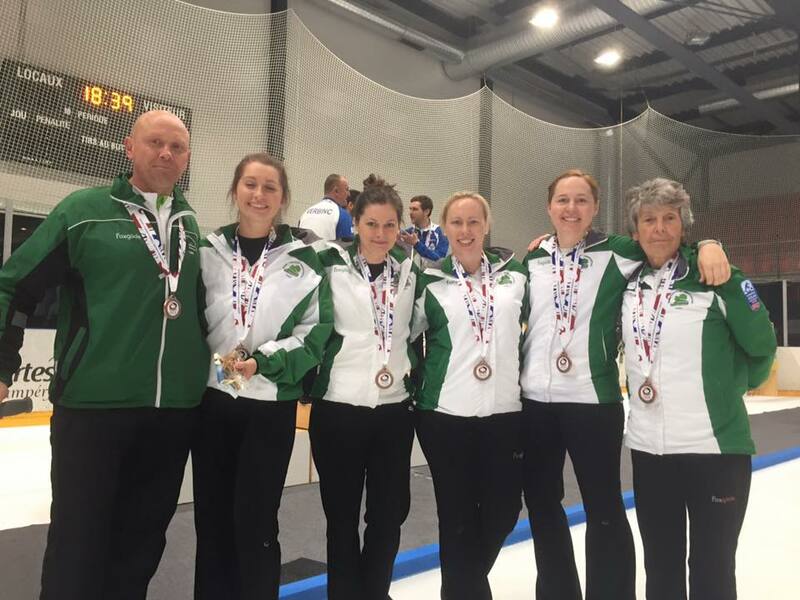 The Irish Ladies team, skipped by Alison Fyfe, played Slovakia today in the silver medal match. The match first half was very tight with the first end blanked and then just exchanging singles. Going into the second half, the Irish Ladies notched it up a gear and took a four in the fifth end. Unfortunately the Slovakians replied with a three in the 6th end and a further single in the seventh. In the 8th end the Irish ladies scored a single to take the score to a peel and an extra end. However this left the Slovakians with the hammer and they took a single to win the match and the silver medal as well as promotion to the B division in November. 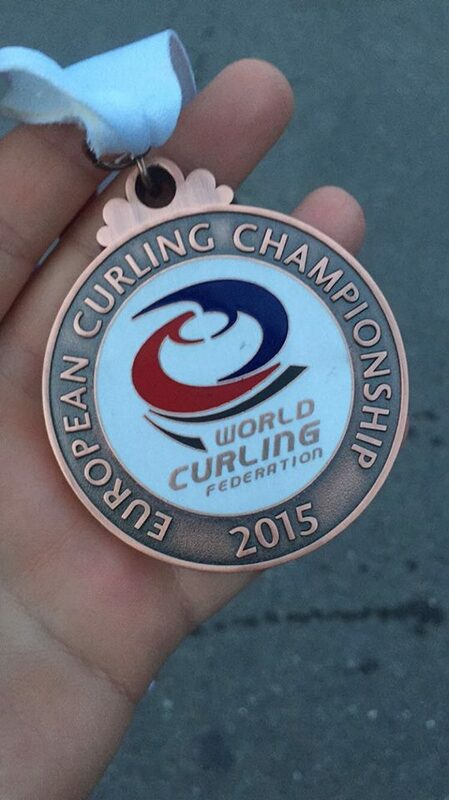 The Irish Ladies bring home the bronze medal and have shown great fighting spirit. Well done to Alison Fyfe (skip), Ailsa Anderson, Katie Kerr, Clare McCormick and Hazel Gormley-Leahy. Thanks also to coach Martin Sutherland.